More than a century afer his death D.L. 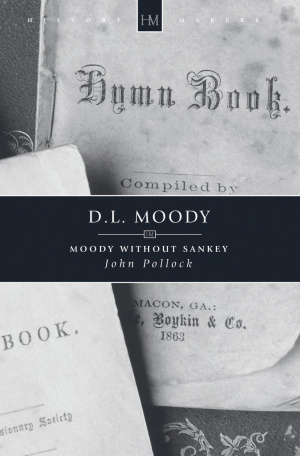 Moody remians a towering figure whose influence is still felt; the institutions he founded in America continue to flourish; his place in history is secure. But it is his personality that commands attention: a man of total integrity, with a supreme gift for bringing Christianity before a whole range of contemporary hearers and puting them to work for God. Dwight Lyman Moody was the outstanding evangelist of his time. He was known on both sides of the Atlantic. After success in America he ladned at Liverpool, England, unknown and unexpectd but when he left, Scotland, Ireland and England were at his feet. He was contagious! D.L. Moody by John Pollock was published by Christian Focus Publications in April 1996 and is our 26527th best seller. The ISBN for D.L. Moody is 9781857921670. Be the first to review D.L. Moody! Got a question? No problem! Just click here to ask us about D.L. Moody.